Has it's own radio station! All our partner sites are independently reviewed by our team of industry experts. We examine 10 different criteria and award a score out of 10 for each, adding up to a final mark out of 100. 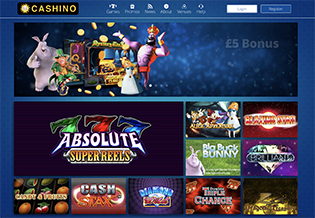 You can read a full description of our Cashino Casino review process here. Cashino Casino received a score of 72/100. Cashino is a lovely play on words that indicates there’s plenty of money to be won at this particular online casino. 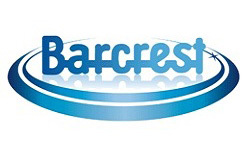 The brand launched in 2014 for a UK audience, although its operators (Merkur Interactive Malta P.L.C.) also own two online casinos for Spanish and Italian players. So, what makes Cashino so special and why should you choose to join it? Well, aside from an excellent collection of slots and table games, the casino boasts its own radio station – Jackpot FM – that you can listen to while you play, a range of exclusive promotions, and a unique loyalty scheme that lets you collect C-Card points which can be converted into real cash. Like another well-known British brand, Grosvenor Casino, Cashino welcomes you to visit its own high street venues, of which there are more than 150 to choose from, and you can find your nearest casino using the website’s venue finder. The in-house radio station also enhances the playing experience by letting you take part in competitions or request birthday shout-outs live on air by sending the production team an email or text. Plus, you can keep abreast of all the latest developments such as new game releases by visiting the News page. The casino’s newest customers have the chance to double their first deposit. To take advantage of this welcome offer, all you need to do is deposit anywhere between £10 and £250 using the promo code shown on the Promotions page, and once your transaction has been processed, you’ll be automatically credited with a 100% bonus of up to £250. Before you can withdraw any of your winnings, you must wager your bonus at least forty times within thirty days of receiving it. 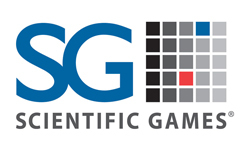 Cashino is lucky enough to have several well-known software providers onboard, which means that you can sample exciting titles from WMS, Scientific Games, Barcrest, Blueprint Gaming, Edict, and Merkur. The casino lobby at Cashino consists of six categories: All, 5-10 Line Slots, 15-20 Line Slots, 25+ Line Slots, Table Games, and Other. The 5-10 Line Slots include Absolute Super Reels, Big Buck Bunny, Coin of Gods, Endless Summer, Double Triple Chance, Ship of Dreams, Coin of Cornucopia, 7’s to Burn, Tiki Shuffle, Crown Gems, Eye of Horus, Flame of Fortune, and the Final Frontier. The 15-20 Line Slots include Action Bank, 221B Baker Street, Wish Upon a Jackpot, Hocus Pocus, Genie Jackpots, Cannon Thunder, Diamond Wild, Fortunes of Sparta, Diamond Wild, Grand Canyon, Wishing Tree, and Wags to Riches. The biggest slot selection can be found under 25+ Line Slots, and it features Zeus III, Spartacus – Gladiator of Rome, Rainbow Riches, Titanic, Neon Reels, Michael Jackson – King of Pop, Bruce Lee, Jackpot Rango, Montezuma, and Pyramids of Egypt. If you love to play popular casino games, the Table Games area of the lobby is where you’ll want to go. It features three types of roulette (Key Bet Roulette, French Roulette, and American Roulette) and four blackjack variants (European Blackjack Twins, Blackjack Lucky Pair, Blackjack 2 Against 1, and European Blackjack Lucky Seven). The final tab of the lobby – Other – lets you play Classic Bingo and Las Vegas Poker. At the moment, Cashino doesn’t offer any live dealer games. You can, however, play standard table games at Cashino. The latest offers are always listed on the Promotions page at Cashino. They let you play selected slots such as Rainbow Riches every Thursday, and if you fail to make a profit, you can claim 10% cashback (up to a maximum of £250) on your net losses. C-Card points are the brand’s unique way of rewarding loyalty, and you earn one point for every £10 of real cash that you spend at the casino. 100 C-Card points are equivalent to £1 cash, and once you’ve earned over 500 points, you can redeem them for cash or save them up and exchange them for vouchers to use at Cashino venues, Love2Shop, or Marks and Spencer. 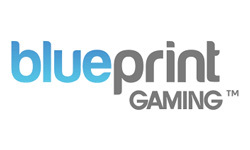 As a new player, you’ll get 500 free C-Card points just as soon as you deposit at least £5 and play your first game. That means that you’ll instantly have £5’s worth of cash in your C-Card points collection. Customer support is available via live chat, online contact form, and telephone between 1 PM and 10 PM from Monday to Sunday. 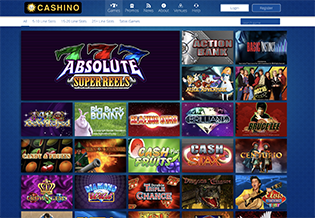 The Cashino website uses a simple and effective layout with a smart blue background and a black-and-yellow logo with a smiling sun. Unlike some of its competitors, the homepage isn’t crammed full of offers and advertisements, just the welcome bonus, some featured slots, and a link to the Promotions page. The main menu at the top of the site includes Games, Promos, News, About, Venues, and Help, and to the right of it, there are buttons that allow you to log-in or sign-up. There are two quick launch buttons which are permanently attached to the right-hand side of the website that are for Help and Live Chat, and links to the brand’s Twitter and Facebook social media accounts are provided at the bottom. The Cashino has been developed to look great on mobile devices, and there are plenty of mobile-friendly slots and casino games to choose from. Cashino is regulated and licensed by the UK Gambling Commission. The results of the games are generated by a random number generator (RNG), and data encryption helps to ensure that details of payment cards and personal information cannot be accessed by unauthorised persons.